page of the GitHub portal, or t the http://bhrnjica.net/anndotnet. tool implemented in the application. information and information about machine learning configuration files. responsible for training and evaluation models defined in the mlconfig files. which is proved to be one of the best open source library for deep learning. Through all application ML Engine exposed all great features of the CNTK e.g. Once the MLConfig is created user can open it and start building neural network. the Network Setting tab page. appear about this information once the training is stared. normalization layer, and it is positioned at the first place. value is in percentage type. There is no any constrains for this layer. configured. There is no any constrains for the layer. the layer. 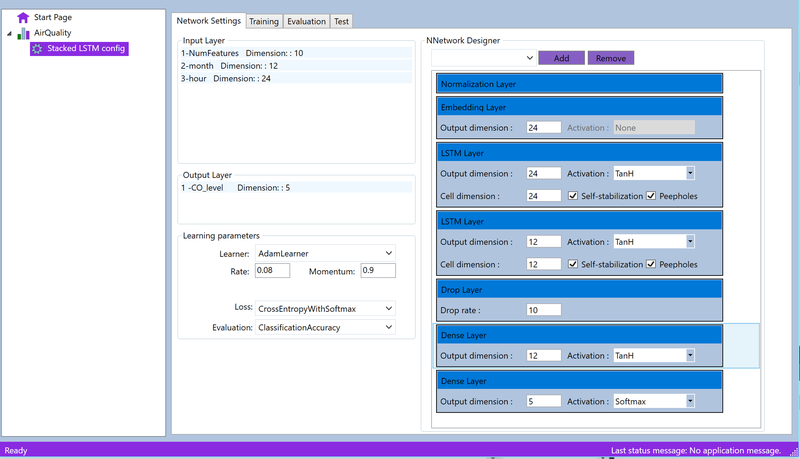 The following image shows how LSTM item looks in the NNDesigner. implementation of the Stacked LSTM layer will be shows later. which come with default ANNdotNET installation package. of the ANNdotNET installation package. the input layer. The example is part of the ANNdotNET installation package. 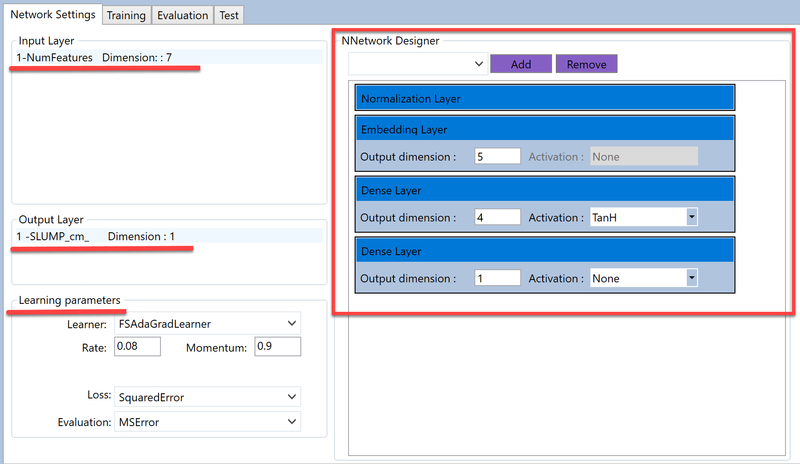 Network is configured with 3 embedding layers, one hidden and output layer. connected into stack. The example is part of the installation package. to open the example, the user just need to click the link.